The notion of the author as the creator and therefore the first owner of a work is deeply rooted both in our economic system and in our concept of the individual. But this concept of authorship is modern. 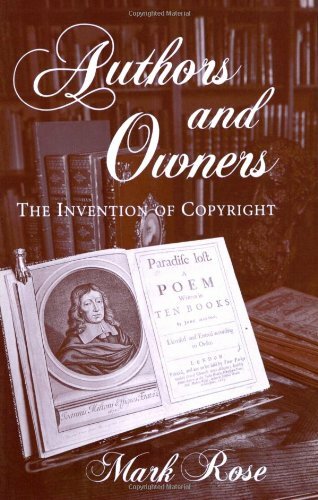 Mark Rose traces the formation of copyright in eighteenth-century Britain--and in the process highlights still current issues of intellectual property. Authors and Owners is at once a fascinating look at an important episode in legal history and a significant contribution to literary and cultural history.